National Corvette Day Today! - MacMulkin Corvette - 2nd Largest Corvette Dealer in the World! Home >> General Corvette News >> National Corvette Day Today! The Corvette has been produced for seven generations over the past 63 years. Known throughout the world as “America’s Sports Car,” the Corvette embodies the concept of innovation. On June 30, 1953, the first Corvette came off the assembly line. 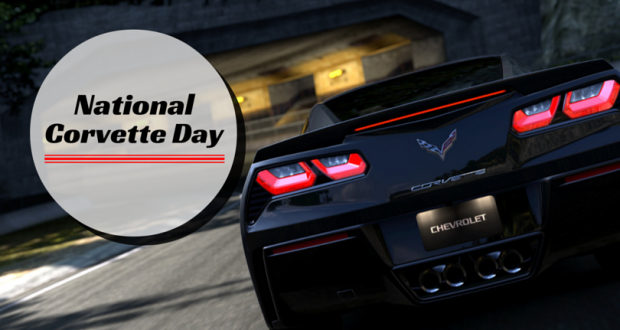 In 2008, the United States House of Representatives passed a resolution that June 30th would annually be known as “National Corvette Day.” That’s right, a whole day devoted to America’s sports car. Below is the actual text from the resolution. In the House of Representatives, U. S., June 26, 2008. To help mark this year’s “National Corvette Day” here’s a brief glance at the history of the Corvette. At the beginning of the 1950s, Harley J. Earl, General Motors’ designer, developed an idea. Earl dreamed of an American sports car that would sell for around the same price as a mainstream American sedan. Inspired by the great European sports cars of the time, Earl wished to create an American sports car that would be able to hold its own against the foreign competition. He became aware of the increasing popularity of European sports cars in America, and he hoped to build a comparable sports car in the United States. In 1953 Earl introduced the Corvette as his latest “dream car.” The Corvette was only intended to be a part of General Motors’ traveling display, located at the Waldorf Astoria Hotel in New York City. However, the Corvette was an instant hit. From the moment the prototype Corvette was put onto display, the history of “America’s sports car” was set into motion. With its fiberglass body and sleek design, the Corvette was met with thousands of interested potential buyers at the New York show. With such popularity at the GM Motorama show, just a few months later the Corvette was launched into production in Flint, Michigan. On June 30th, 1953, the first Corvette rolled off the assembly line. The first 300 models of Corvette were built in Flint in 1953. Each of these Corvettes were Polo White roadsters with red interiors, and black canvas tops. These early models were designed to open from the inside, and the exteriors lacked door handles. Two options were offered in the original 300 Corvettes: a signal seeking AM radio and a heater. Although these were listed as options, every 1953 Corvette came furnished with both the heater and a radio. In 1954 the Corvette production moved from Flint, Michigan to St, Louis, Missouri. It was here that mass production of the Corvette would begin. With the introduction of Chevrolet’s first V-8 engine in 1955, through the influence of GM engineer Zora Duntov, the car’s performance greatly improved. The increase in performance helped bridge the gap from cruiser into the high performance sports car that the Corvette is known to be today. So important were Duntov’s contributions during the beginning of the Corvette’s history that he is often credited with the nickname “Father of the Corvette.” By the mid-1960s, the Corvette had secured its reputation as America’s favorite sports car. In 1981 GM transferred production of the Corvette from St. Louis to Bowling Green, Kentucky. Originally a Chrysler air-conditioning unit factory, the facility was completely refurbished into a modern automotive facility. Since then, the facility has doubled in size, and Bowling Green has remained the exclusive home of the Corvette for over 30 years.